At almost 40 foot long with a work load limit of 80,000 lbs, this beam is a departure from our other examples of two-crane lifters. The AF11A00-00A has two lifting points offset, making it a two crane lift beam for unequal crane capacities. It also incorporates transverse beams for a 4 point lift. 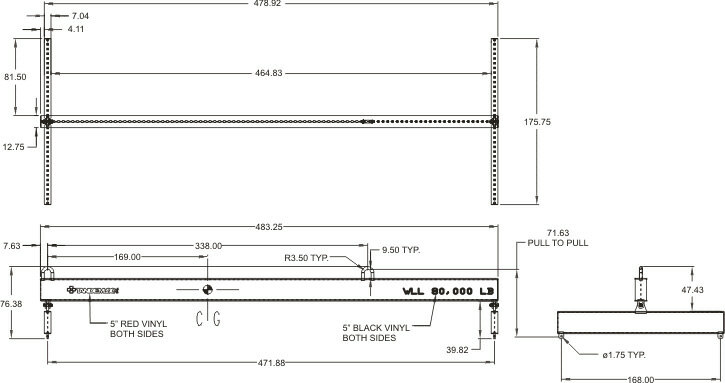 As with almost everything we design and manufacture, this design can be modified to suit your two crane lift needs.